Fourth Avenue Jail has a capacity of 2,064 beds of which 288 are specifically designed to house the highest security level inmate in the system. The Fourth Avenue Jail was designed first and foremost with the interest of public safety in mind. The Fourth Avenue Jail features user friendly video visitation for the general public. This facility also maintains a fully staffed and equipped medical and dental clinic. In addition, inmates are offered educational and religious services in the chapel and classrooms within the facility. The 4th Ave Inmate Inquiry is provided as a free service to prospective clients actively seeking bail. This Inquiry is not for the purpose of updating you on an inmate’s release status or for individuals just curious about an inmate’s bail or charges. 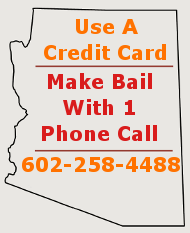 For those of you that need release status of an inmate, please call the SIMS HOTLINE at (602) 876-0322. Before scheduling visitation with an inmate, confirm that the inmate is still located in the Fourth Ave Jail; call the Sheriff’s Information Management Services (SIMS) at 602-876-0322. Visitation is generally held between the hours of 8:00am – 1:30pm; visitation restrictions may be in effect and schedules are subject to change. 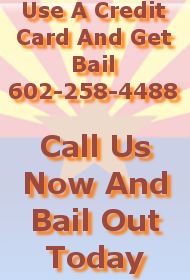 Call the 4th Ave Jail information line at 602-876-0322 for up to date visitation times. You must fill out a Visitation Form, available in the 4th Ave Jail lobby. You must know the formal first and last name of the inmate. Visitations are limited to 2-3 visitors at once, depending on age. Inmates are allowed three thirty-minute visits per seven-day period. You will not be allowed into the visitation room with personal items such as jewelry, sunglasses, cell phones, wallets, purses, books, etc. If you bring them with you, you will be required to store them in one of the lockers located in the visitation lobby. Bring change with you. Inmates must release all personal property when requesting a property release. The inmate can release his/her property to anyone they choose including their attorney, public defender, probation officer, bondsman or caseworker. The property release, also known as Tank Order, must be signed and issued by the inmate. The person picking up the property will need to go to the Durango Jail, where the inmate is incarcerated, pick up the Tank Order, and take it to the 4th Ave Jail where all personal property is stored. The jail will then release the property. Anyone picking up property will be required to provide a valid government issued picture identification card, such as a Department of Motor Vehicles (DMV) identification card/driver’s license that is current and valid. An Immigration card (work visa card, or resident alien card) presented with a DMV card is acceptable.